We woke up bright and early in the morning, as always, around 5am. Breakfast was to be served before 7 and we were to was off to our safari before 7:30. We were served a breakfast of eggs, rice, chapati, and beans. I took some of the eggs and beans, and no later than 10 minutes later I was outside getting rid of my breakfast the same way it came in. My first African sickness was today, I it was literally instant food poisoning. I took my malaria pills in the morning and ate some eggs and beans for breakfast. About 10 minutes later my stomach and throat started hurting and soon I was outside getting rid of my breakfast on the grass. 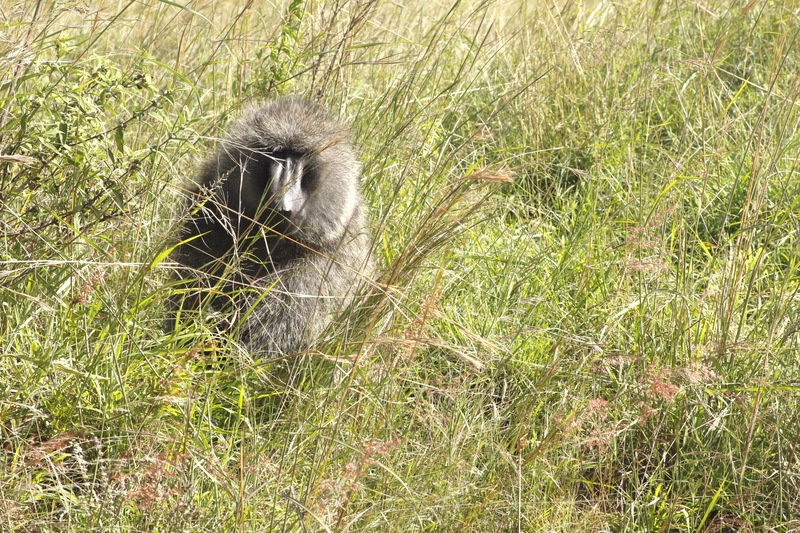 From that moment I felt so much better and I was able to go on the safari drive without any sick feelings. 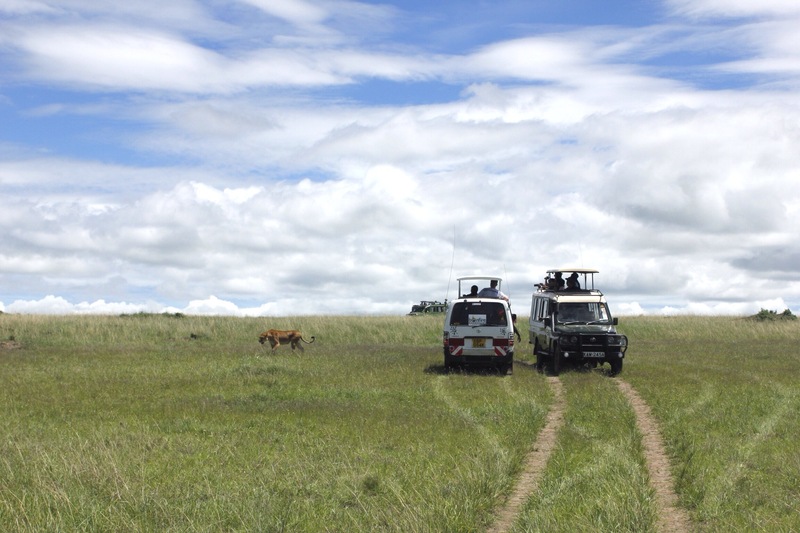 We were off to the Maasai Mara at 7:30am and spent the entire day until around 4:00pm in the evening. We saw literally hundreds of wildebeest, giraffes, elephants, zebras, gazelles, as well as hippos, crocs, lions, leopards, and cheetahs. 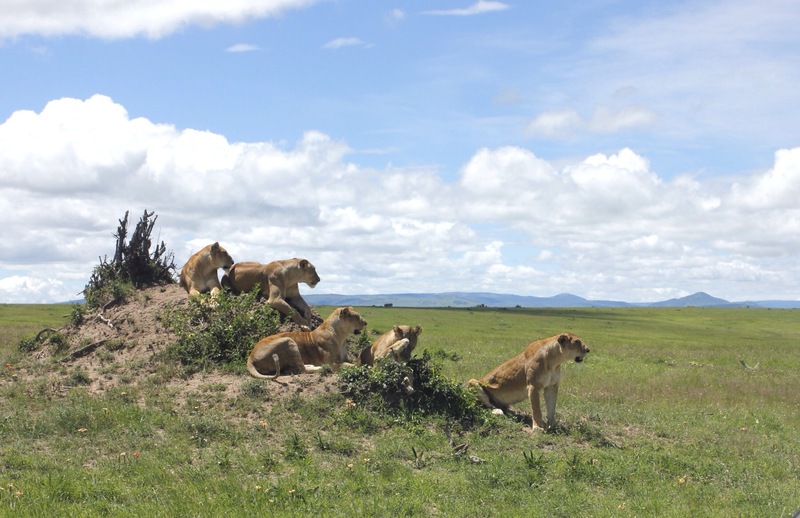 Some of the highlights included watching a group of female lions hunt a warthog, two hippos fighting in the river that separates Kenya and Tanzania, spotting a leopard in a tree with her two dead gazelles, spotting a cheetah with two little babies, and spotting dozens of cute baby elephants. What is unique about a safari in Kenya is that you are taken off roads to get closer to the animals and you are allowed to get out of the car. 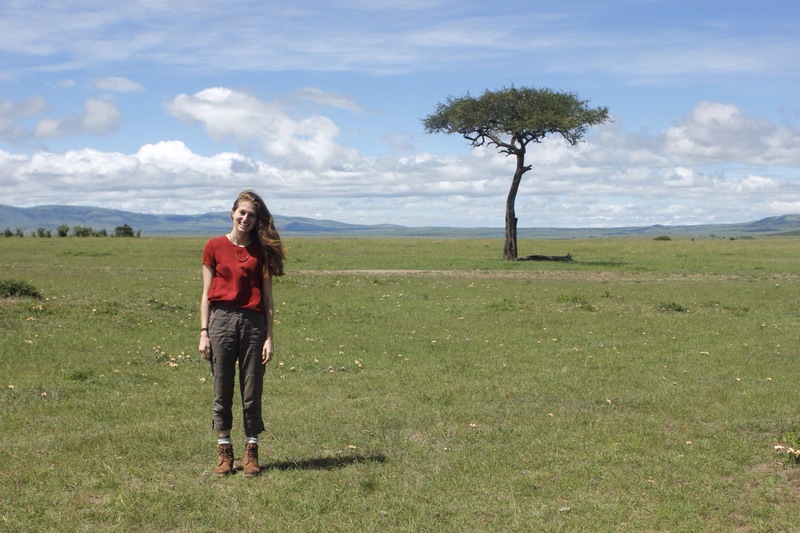 We ate lunch under a beautiful acacia tree (the typical African tree most people picture when they think of Africa.) The food that we have been served is actually really good. Local Kenyan food is quite healthy, composed mainly of vegetables and beans or lentils. For lunch they fed us fruit, local juice, some chicken, hard boiled eggs, and vegetable sandwiches. After our lunch we began our second game drive. For the afternoon safari drive we spent most of our time spotting make lions and watching the hippos and crocs fight in the river that separates Kenya and Tanzania. 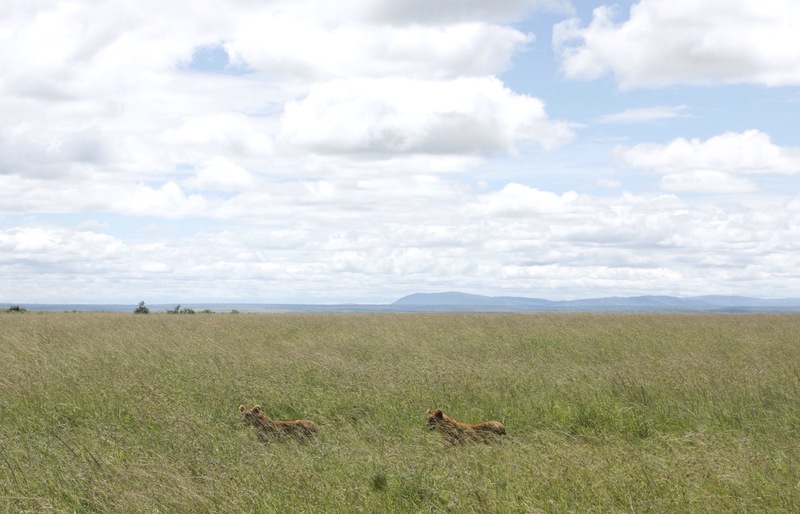 The Maasai Mara covers a huge portion of southwest Kenya and it is absolutely beautiful. I can’t imagine a more beautiful and peaceful place in the world. It is amazing that Kenya is such a peaceful place (for the most part) when South Sudan and Somalia, two neighboring countries, are in very tense conditions right now with government problems and civil wars. Andrew and I chose to do a group safari so we could meet other travelers. One of the girls in our group, Katrice, has been working in refugee camps and small villages in Syria, Somalia, and South Sudan. She is a water engineer graduate from Wales University in England and works specifically drilling wells for villages who do not have safe water access. She had been caught in the middle of front lines, been involved in revenge killings, and see people die from horrible diseases. She came to Kenya for the peace — which is ironic in many people’s eyes because Kenya is not know for a history of peaceful situations. 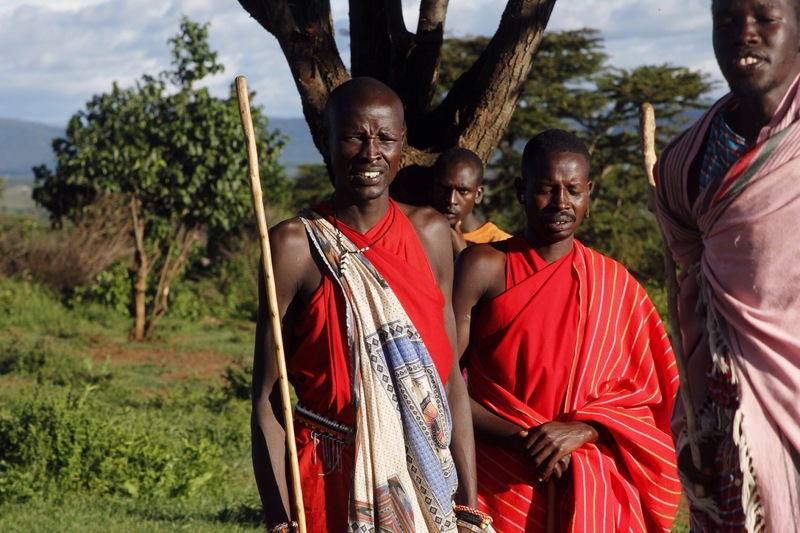 Our experience has been incredible because of the people we have met, including the Masai warriors that guard our camp. I was able to learn more about the Masai people during our evening visit to a nearby village. One of our camp guards, John kiyiapa, is the son of the chief of a nearby village. He agreed to take us around and tell us about his people. The Masai people live southwest Kenya, in the northern part of the Serengeti and African Rift Valley that stretches from Ethiopia to Mozambique. John began by teaching us about the traditional herbal medicine practices of the Masai people. They only use the local flora and fauna to cure medicinal problems. They have a plant for mosquito repellant, one for allergies, one for burns, one for sim stomachs, and they even have one for overeating. John showed us a tree that they use for chewing gum, and even let us try a piece of the “bark” chewing gum. The gum tasted like a mixture of onion and garlic. He then explained the diet practices of the Masai. Masai people only eat meat (either beef or goat) and drink cow milk and blood. I asked John if he had ever eaten a fruit or a vegetable and he said no. 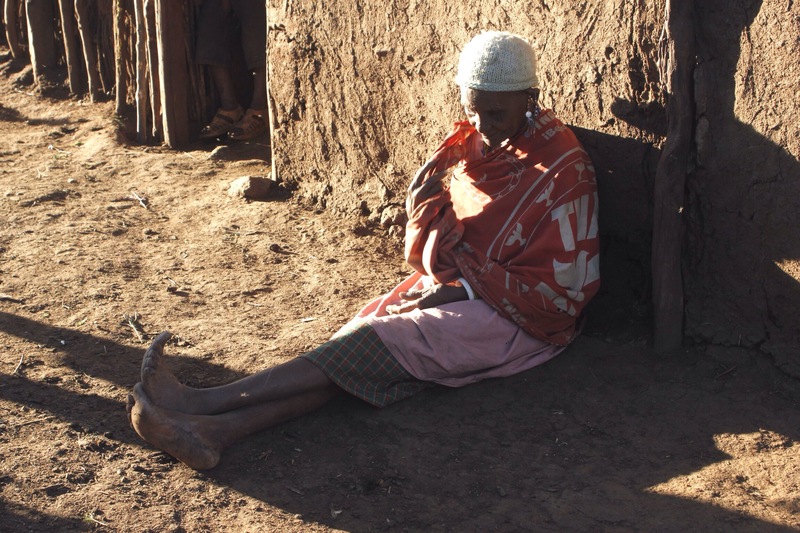 A typical day for a Masai includes waking up to tea, milk, and maize porridge in the morning. In the afternoon the men and women are working in the village or on the grazing lands and no midday meal is consumed. Late in the evening the family comes together again for dinner of roasted beef or goat. Cow blood is taken about once a week by each Masai person, usually in conjunction with special ceremonies. 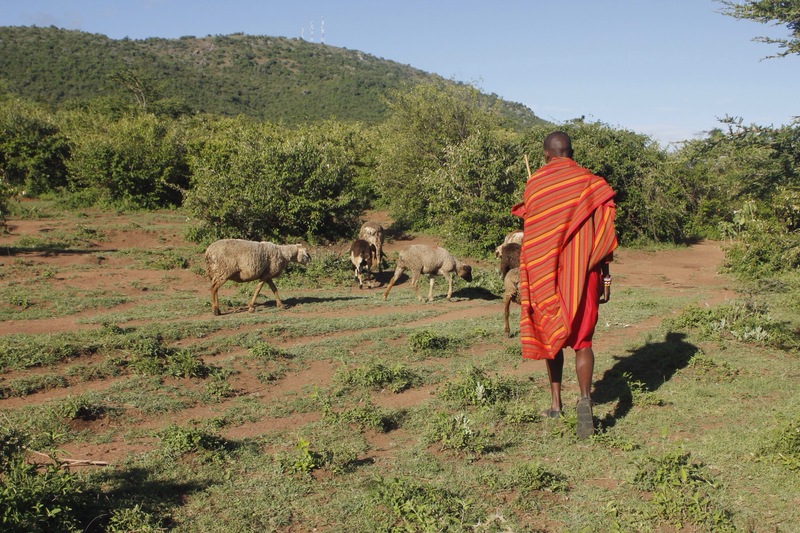 In Kenya there are over 200 Masai villages, each village having 100-200 members. 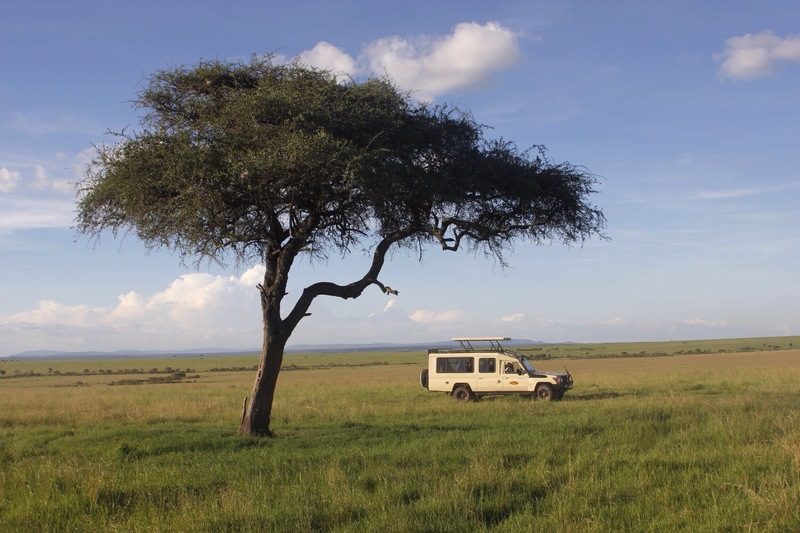 John’s village is composed of 160 people or 10 families and is located right outside the Masai Mara. Each night they bring their cows and goats into the center of the village to protect them from the wild animals, like lions. The mud huts that the people live in are built in a circle around a central pen where the goats and the cows are housed in the evenings. Each hut has a small mud kitchen, and several small rooms in which 3-4 people sleep each night. As with other African cultures, each home is also built with a guest room. What is interesting about the Masai people is that they are completely immune to flies. Because they work with cattle and goats all day long, there are flies absolutely everywhere. 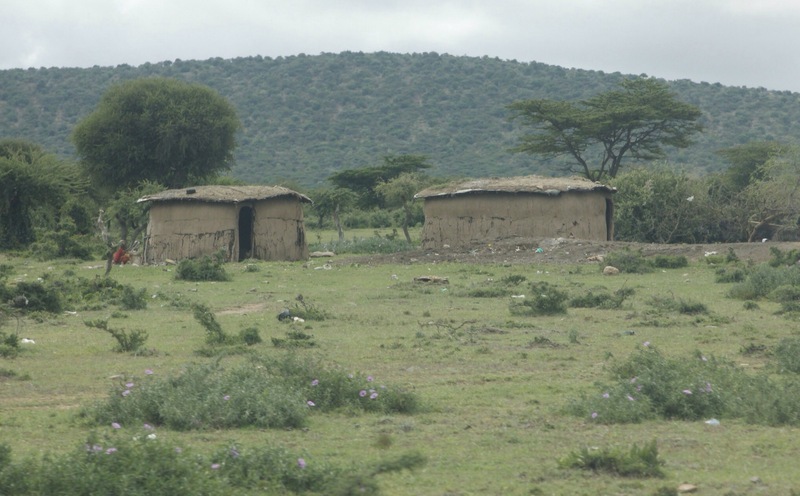 On top of that, the Masai people have to move every couple of years because the termites eat their homes to the ground. Towards the end of the tour John took Andrew and I into his parent’s hut to give us a tour. The tour consisted of us siting in the kitchen peering around since the house was so small. Inside the house John told us about the process he had to go through to become a warrior. The process includes public circumcision at the age of 15, and five years learning in the wild with special teachers. Each man must kill a lion with a spear and bring back its head and teeth to the village to of finally become a warrior. John showed us the scars on his legs from his lion encounter as well as the lion tooth around his neck from his kill. The next part of our experience was absolutely surreal. At the end of our conversation he gave us his Masai robe and lion tooth and invited us to come back and stay with him and his family next year. Andrew and I may take him up on that offer (as long as we have a net around us to keep the flies off. 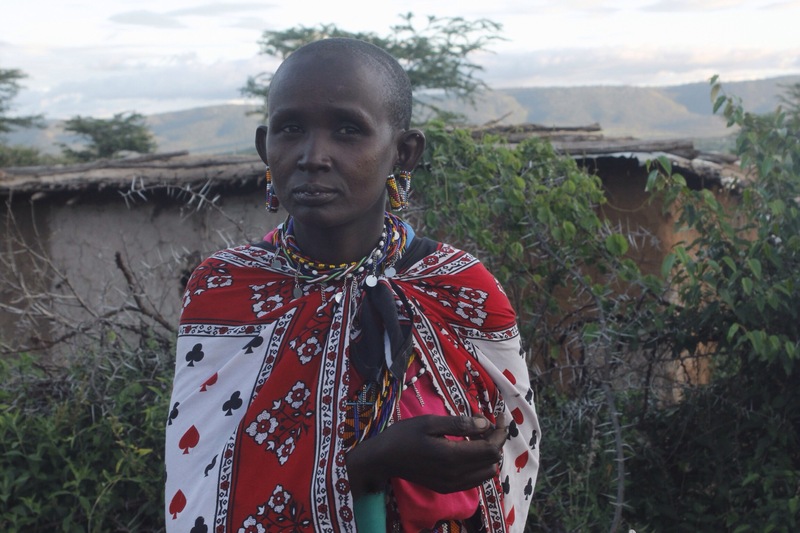 For the Masai, marriage is very important and for John that is the next step in his life. When a Masai man finds a woman he wishes to marry he must pay cows for her. The number of cows he must pay is determinant on how high he can jump. 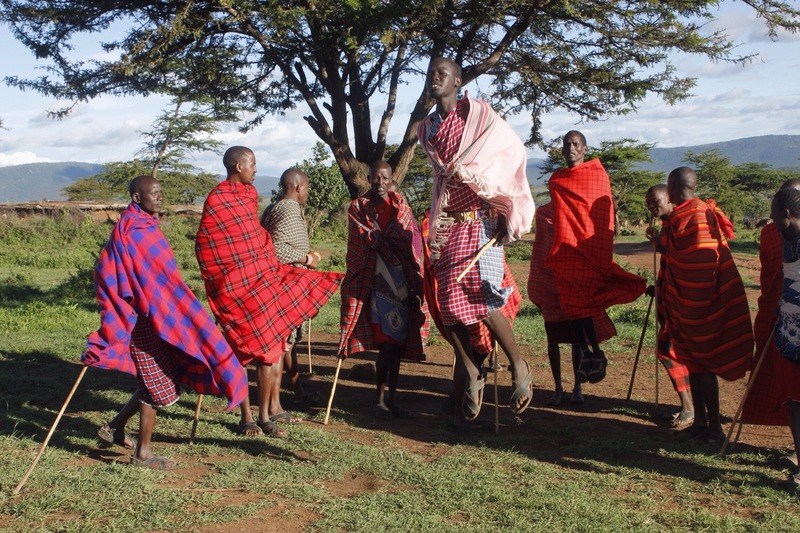 This is why the Masai people are known as the jumping people. If you jump really high you may only have to pay 4 cows, but if you can’t jump very high you may have to pay 10 cows. John asked if I had a sister and how many cows my father would want for her — noting that he jumps very high. I told him that when I come back to visit next year I will bring her along. Are you up to living in a mud hut and drinking cow blood Madison?